Yikes! It’s been a long time since my last post. Sorry! Whenever I get a spare moment all I want to do is lay on the couch. I either have a 3 week cold that just won’t go away, or I’m getting allergies for the first time. Either way, yuck! So for my post today I decided to give you a recipe for burrito bowls. These are inspired by Chipotle. As far as the meat goes, I used a pork loin. I cooked it for about 4-5 hours on low. You can use a pork shoulder, or some kind of beef. I made a cilantro lime brown rice and mango salsa to go with it. 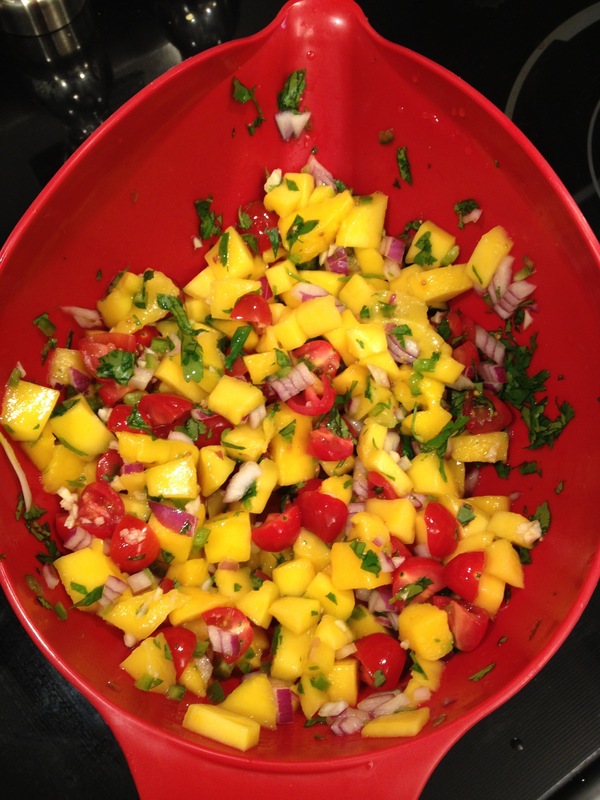 This mango salsa is my specialty! So I hope you enjoy it. For the mangoes, feel free to use presliced mango in the produce section. They’re a pain to peel and slice! If you don’t have that option, here’s a website with tips how to cut it up. Enough of the chit chat – I know you just want to get to the good part! Optional toppings: shredded cheese, sour cream, guacamole, corn, lettuce, olives, etc. Put your sliced onion and chicken stock (or other liquid) in a crock pot. Place meat on top and cover with spices. Cook on low 4-6 hours or on high for 3. The meat is done when it easily shreds. Cook rice according to package directions. I don’t like mine to wet, so continue to cook with the lid off and turn up to medium after the rice looks done until your desired dryness. Add lime juice and cilantro. Stir well and set aside. 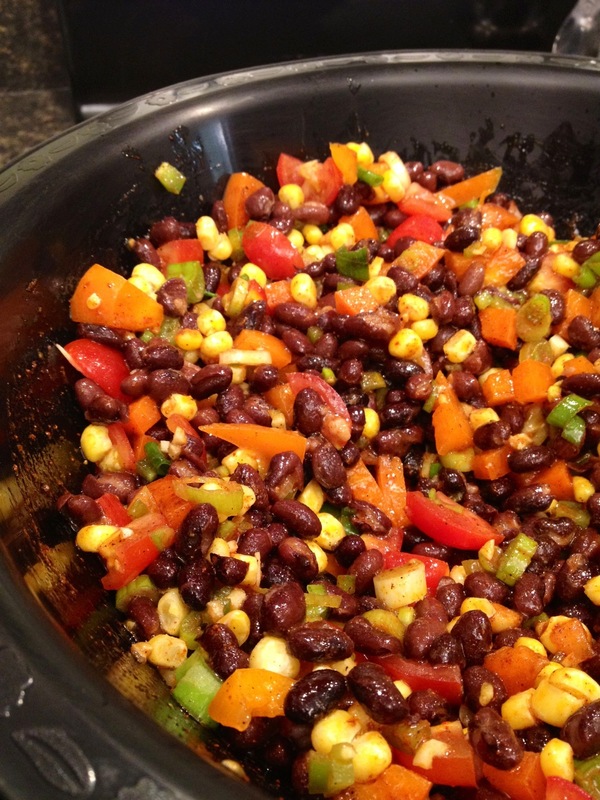 For the salsa, combine all ingredients in a bowl and let sit at least an hour so all the flavors meld together. When the meat is done, take it out of the pot and shred it up! Discard any extra fat sitting around and put the meat back into the crock pot. Mix with all the juices and onion. Let sit on low for about 30 minutes or so to reabsorb the juices. To serve, layer rice, then meat then salsa – however much you want! Put on any additional toppings. Does it taste just as good if not better than Chipotle? Hope so! 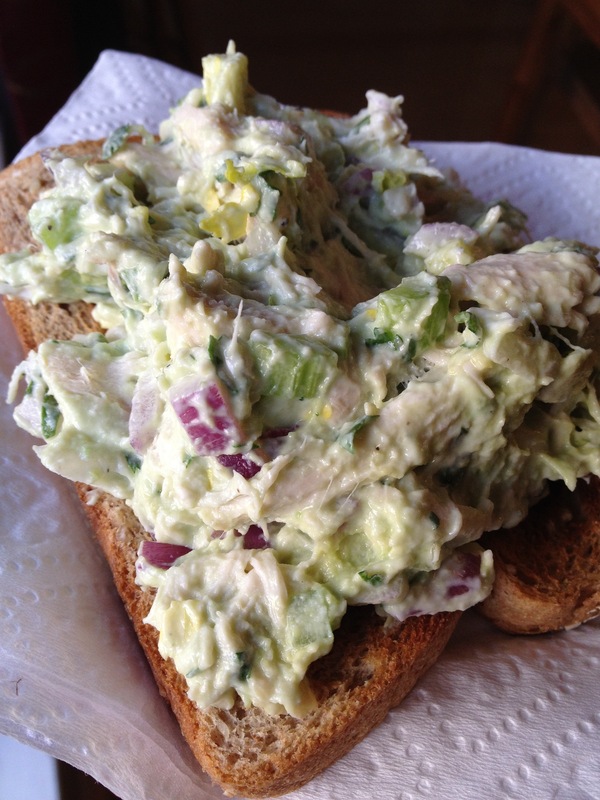 Remember my Guacamole Chicken Salad I made a few posts ago? I went to make some more last week because Tim LOVED it, but I didn’t have any more chicken in the house. What I did have was 2 more avocados, leftover cilantro, limes and onion. I decided to take some inspiration from Chipotle’s delicious cilantro lime rice and make a spin off of it with quinoa and some other ingredients I had laying around. I made a lime-chili vinaigrette to go over top of the quinoa. It was awesome. I just wish I had more of it! The dish tastes great warm or cold and can be used as a side dish or a lunch. 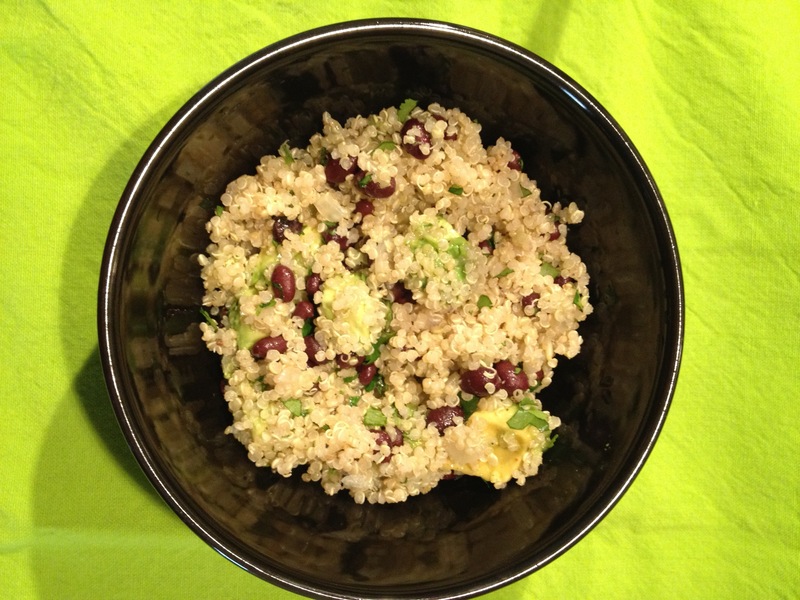 The quinoa and black beans kick up the protein to make it a complete meal. All the light flavors won’t leave you weighed down! In a medium saucepan, add 2 cups of water, 1 cup of quinoa, onion and garlic. Bring to a boil. Then, turn to low and cook until the quinoa plumps up. About 10 minutes (check your package directions). Let the quinoa cool slightly while you prepare the other ingredients. Slice the avocado around the middle all the way around and twist to separate. Take out the pit and scoop out the meat with a spoon. Dice and put into a small bowl. Cover with lime juice, olive oil, and chili powder. Mix well. Add the beans, cilantro and avocado mixture to the quinoa. Add salt and pepper to taste, along with the red pepper flake, if desired. Serve warm or cold.